Here we are with the biggest catch of the trip. 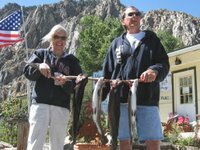 We caught these in the Walker River. 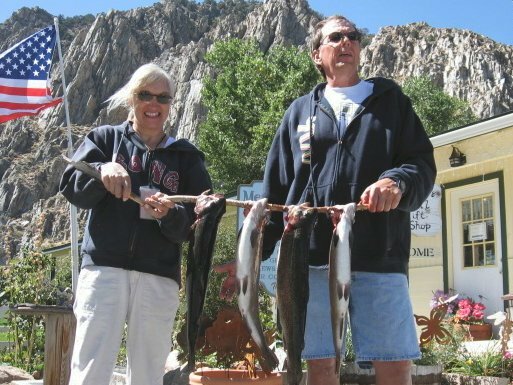 They were farmed trout that had been fed a special diet and stocked the night before we caught them for a company the paid for them so that their employees could have a successful fishing trip. I don't know how they did, but we did well! The fish are delicious too. The meat is pink and tastes just like salmon! We aren't sharing these unless you come by for dinner.